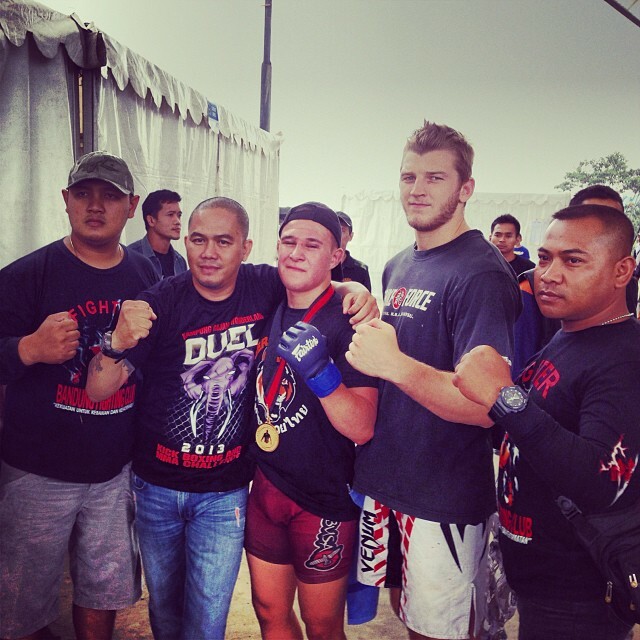 Tiger Muay Thai’s sponsored MMA fighter, Kaiwhare Kara-France continued his two-fight win streak after his latest bout in Dandung, Indonesia, bringing his overall record to 7-3. The New Zealander,Kara-France fought as the main event in BFC Duel 2. His challenger, Yudi Sanda, a top Indonesian prospect was no match for Kara-France as he won by unanimous decision. “I was scheduled to fight last out of 22 fights, but that quickly changed when the governor for the city came and wanted to see the main event,” said Kara-France. With an action packed first round by Kara-France breaking the nose of his opponent with elbows from the ground position and an almost stoppage after Sanda’s face was badly beaten, the fight continued the three full rounds with Kara-France in total control. “Full credit to him staying all three rounds,” said Kara-France. Kara-France will look to continue his win streak as he fights the main event in Fight for Peace October 23rd in Manila, Philippines.